What’s the least you’ve ever wanted to go to training? A rainy night down on the astroturf after a long day’s work, perhaps? Imagine, if you will, walking an hour and a half in 35-degree heat to a helicopter landing zone, one of the most targeted sites for terror attacks in the world, with the constant threat of being abused or assaulted along the way. This is dedication on another level. This is the Afghanistan women’s national football team. Khalida Popal returned to her homeland from Pakistan in 2004, a bored schoolgirl with dreams of finding something to do in a nation where women’s roles remain limited even after the removal of the Taliban from government. “When I went to school it was very boring because we didn’t have any after-school activities – it was just go to school, study, go home and nothing else,” the 30-year-old founder, programme director and former captain of the Afghanistan women’s team tells The Set Pieces. Khalida’s initial clandestine kick-arounds took place in a walled courtyard behind her school, where she and her classmates, kitted out in long dresses and headscarves, would play for hours using rocks for goalposts. As the popularity of Khalida’s games grew, the rocks moved further apart to accommodate more players. This square of Kabul had become the unlikely birthplace of something important in the modern history of women’s rights in Afghanistan. However, resistance to even this simple version of the beautiful game was immediate. “Men would tease us, saying we cannot play football. Sometimes they would stand in our way, calling us names, or grab our scarves and clothes,” Khalida recalls. “Sometimes they threw stones. I remember one time there was a guy who was screaming bad words at us from his bicycle. He tried to push me to the ground. We had conflict. Sometimes we were really physically fighting. Some of the girls stopped coming to play behind the school when their brothers and fathers found out. Khalida went to speak to families of those who were banned from playing, urging them to let their daughters and sisters come back. Sometimes they would relent, but others were less progressive. Khalida was frequently kicked out of homes and called a ‘prostitute’. Such was the glacial change of pace in post-Taliban Afghanistan that Khalida and her team-mates soon understood their greatest victory would be earning acceptance and the right to play. But Khalida didn’t give up. 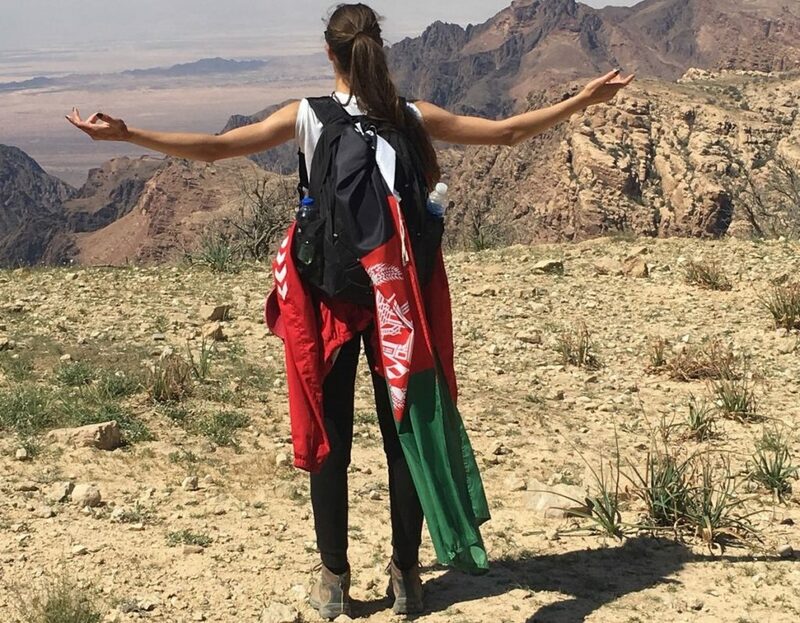 She and her team-mates kept playing, and by 2006 the then-18-year-old had persuaded the FA to officially register Afghanistan’s women’s national team with FIFA. A year later came Afghanistan’s first ever fixture in a 10-day tournament in Islamabad, Pakistan. 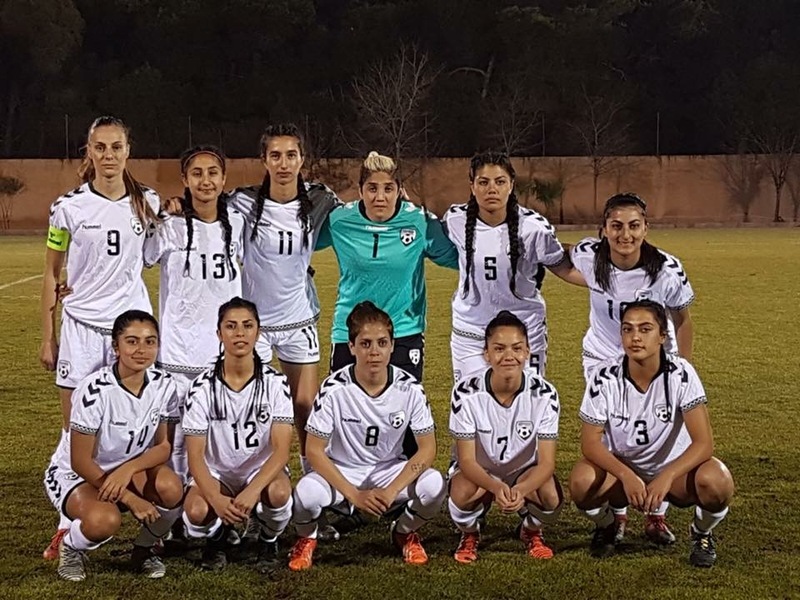 After impressing in the tournament, Khalida – the nascent team’s first ever captain – and her fellow players returned home to meet with President Hamid Karzai in the hope of securing a place to train. And so it was that the newest women’s national team on the planet came to practice at NATO’s International Security Assistance Force (ISAF) compound on an area otherwise designated for helicopter landings and take-offs. Others might have baulked at such unorthodox surroundings, but Khalida and her team – who had yet to be put off by sticks, stones and death threats – didn’t think twice. They wanted to play so much, Khalida recalls with pride, that some of the team would walk up to 20 kilometres to train three times a week, only to be coated by a constant swirl of dust created by the comings and goings of aircraft around them. One positive memory from the team’s time at the ISAF compound was the chance to meet (and beat) the soldiers whose grounds they trained on in a match organised with the help of kit sponsors Hummel. Afghanistan defeated an ISAF XI 1-0, but Khalida believes the off-field victory was more important. Soon after the match in 2011, Khalida left Afghanistan for Denmark – where she still lives and studies – with the help of Hummel. As an increasingly public advocate for women’s rights and a whistleblower on government corruption, her life had come under threat back home. Although no longer playing she is still the team’s beating heart, co-ordinating, consulting and providing support to the team’s unlikely new head coach, former United States international Kelly Lindsey. A natural-born leader, Lindsey took up her first coaching role at 13 and always dreamed of managing the US women’s national team, with whom she won four caps as a player. 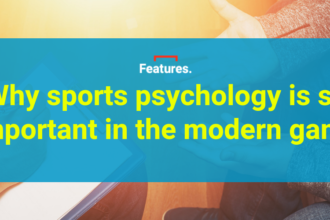 After a knee injury cut short her career, she coached at college and professional level before moving into the corporate world. 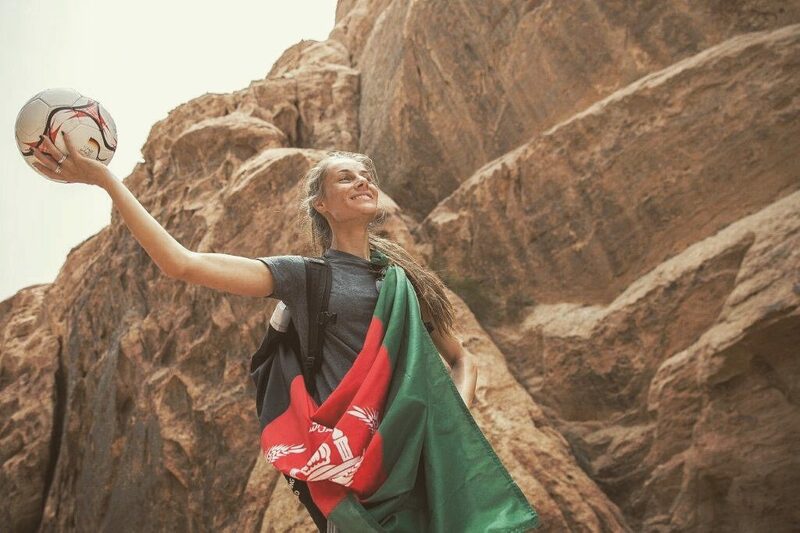 Lindsey came into contact with several members of the Afghan team through her work with football academies, and she quickly became interested in the team’s journey – so much so that she soon found herself helping out informally with training and fundraising. Khalida took note and eventually persuaded the former defender to take charge of the team in 2016, with fellow American Hayley Carter joining as her assistant. As you might expect, it’s a coaching gig unlike any other Lindsey has held before. Much of her work is done online due to the obvious difficulties of travelling to and from Afghanistan, so much so that she has yet to step foot in the country. The national team has expanded its recruitment network to bring in immigrants and refugees living around the world; the side now features players from Sweden, Germany, Canada and the US. They meet every few months for training camps in locations as varied as Jordan, India and California, with their next gathering scheduled to take place in Japan this summer. Lindsey keeps a notebook with key football phrases in each of the players’ languages (including Dari and Pashto), which she uses to help with instructions during camps. However, regardless of the Omaha-born former defender’s ability to bark out tactical instructions in Dari from the touchline, she insists the international language usually prevails. “Football is football and at the end of the day, we will get to the point where we are speaking each other’s languages,” Lindsey says, noting that the training camps and friendlies help improve the infrastructure and change attitudes back home. Currently occupying 106 place in FIFA’s world rankings, Lindsey is aiming to lift Afghanistan into the top 75. She is also keen to see more games added to the international calendar for those smaller nations who don’t qualify for tournaments such as the Women’s World Cup. “There are a lot of teams like us – we need more tournaments, fixtures and events, and no one is creating that. One of my goals is to help create more by getting in touch with these countries and trying to build these tournaments, these events. 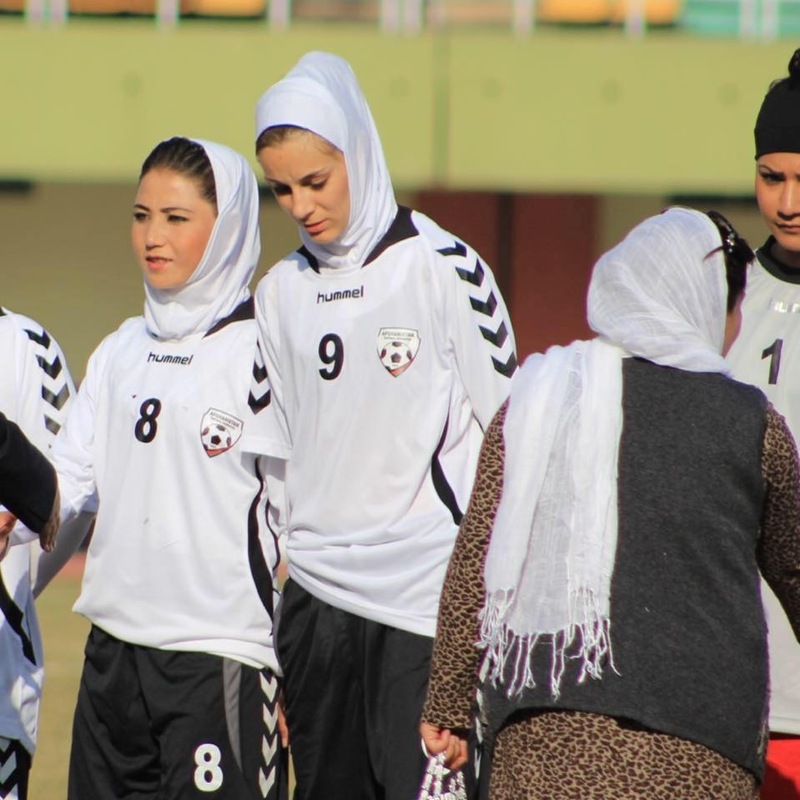 On 27 January 2018, nearly a decade on from the ISAF compound days, Shabnam Mobarez looks nervously towards the entrance of the pitch at the Afghan Football Federation, which she and her team-mates fought so hard to earn the right to play on. Goosebumps crawl across her skin. Mobarez soon finds out that there has been another bombing, the third of that week. An ambulance packed with explosives passed through one checkpoint on the bustling Chicken Street before detonating on the next, killing over 100 and injuring twice as many. Chicken Street. Mobarez knows it – just a few kilometres from the federation, many of the team will have had to go that way to get to training. Her fear dissipates as more and more of the players arrive safely, but sadness still lingers. The local girls are hardened to this reality, but Mobarez – the new captain of the national team – won’t accept it. 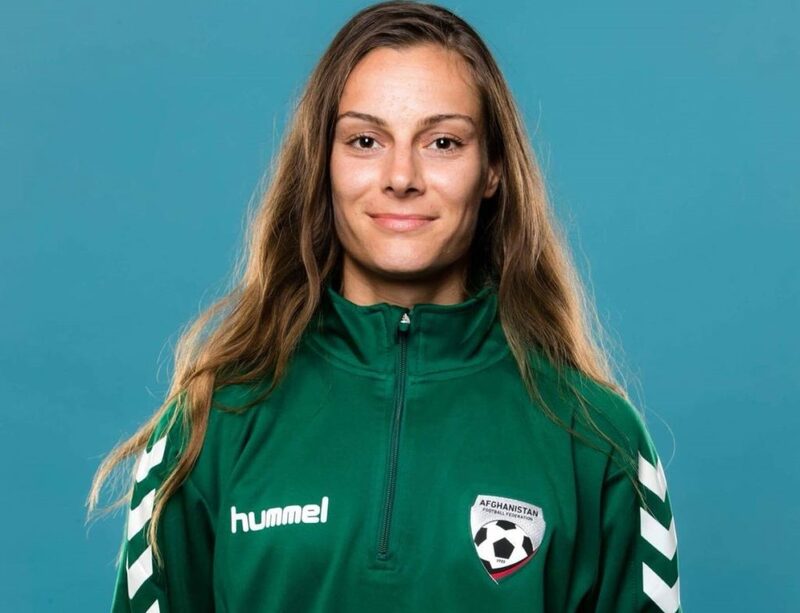 Afghan-born but living in Denmark, she’s in Kabul for training sessions with the team before they head off for a training camp and game against Jordan. “It was weird for me to see how these girls reacted to the bombing,” she says. 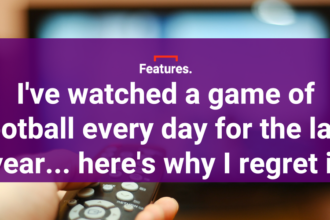 “It’s normalised for them. It’s normal that these things are happening, and it shouldn’t be. It should never be normal. 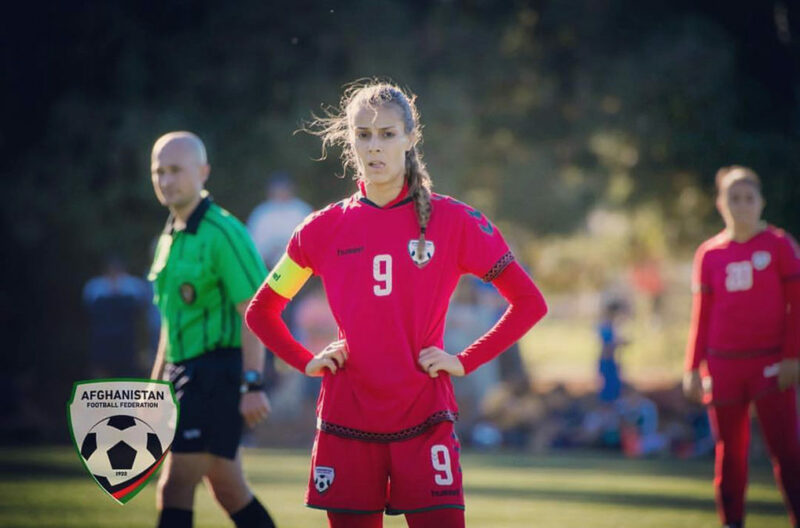 A tall, versatile midfielder who first fell in love with football while playing with boys as a refugee on the streets of Copenhagen, Mobarez admits she thought it was a joke when a friend first invited her to play for Afghanistan. But ever since pulling on the jersey for the first time, she’s become aware of the importance of her position. 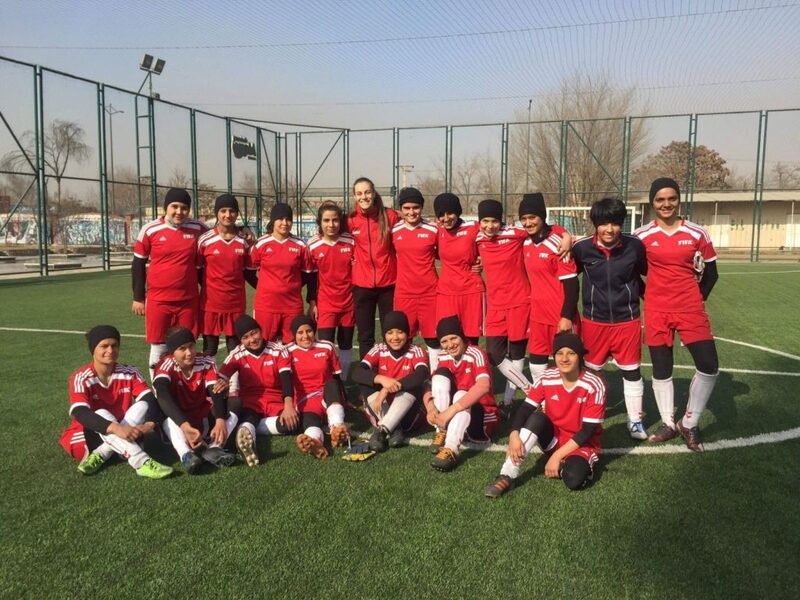 Mobarez waxes lyrical about the ‘amazing’ talent of the young players she met in the youth teams in Kabul, before insisting World Cup qualification is her ultimate goal. The captain has already noticed an impact off the field as results have continued to improve. Fighting the long battle is something which has become normalised in Afghan society in recent decades, and the women’s national team are putting that reality to positive use. “There’s an inner grit and mindset [here],” Lindsey explains. “Living in a war-torn country has to harden you a little bit and teach you to fight for what you want. “They want to play this sport to make the nation proud. They live in a war-torn country that struggles daily just to have hope and joy, and they are hoping that they can bring pride to their country.